Exosomes are small cell-derived vesicles of 40-100 nm in size of endocytic origin. 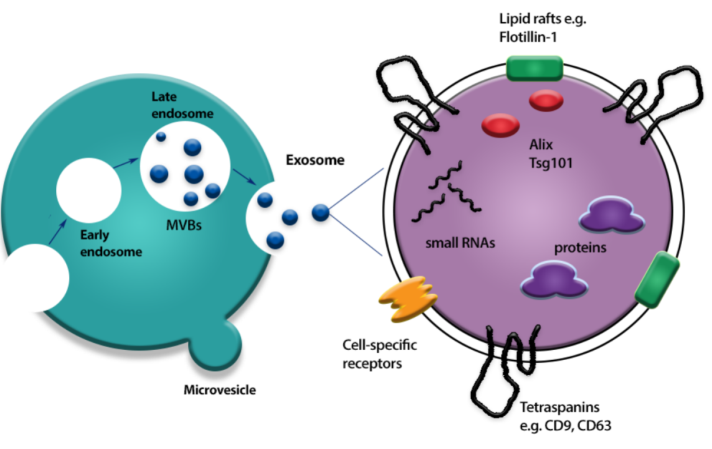 Although initially merely regarded as cellular excretion bodies, exosomes are indeed key components of intercellular communication. Practically every cell secretes exosomes and these nanovesicles are representatives of the cell from which they originate. Creative Diagnostics has developed and optimized an innovative technology (ExoAssay™) that allows specific capture of exosomes from different biological samples, including cell culture supernatants and human biological fluids (plasma, serum, urine, saliva). ExoAssay™ is a patented double sandwich immunoassay for quantitative and qualitative analysis of exosomes. In particular ExoAssay™ is a successful platform for exosomes quantification and characterization from small amount of human biological fluids or cell media and it may be exploited to identify exosomes released by cancer cells in the plasma and urine of tumor patients in various disease conditions.